“You can tell that’s my baby, right?!? !” I overheard LaTalya Parrish say, as I walked into the David E. Glover Center in East Oakland on the evening of July 25. The sound of a proud mother was music to my ears, especially after the week that had been in Oakland. On top of the heinous killing of Nia Wilson and attempted murder of her sister Lahtifa at MacArthur Bart Station, there had been a number of violent incidents in the community. That’s all coupled with the constant cascade from the Oval Office. I needed to hear the sound of LaTalya’s praise; and Hesten, her 13 year-old son, was well deserving of it. 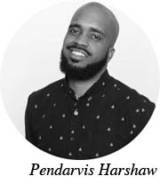 Wearing his Sunday best, he sat at the front desk greeting guests with a smile and passing out programs for the open house, during which he was scheduled to speak about coding and creating ways to “hack the system” during the center’s five-week summer program for teens. 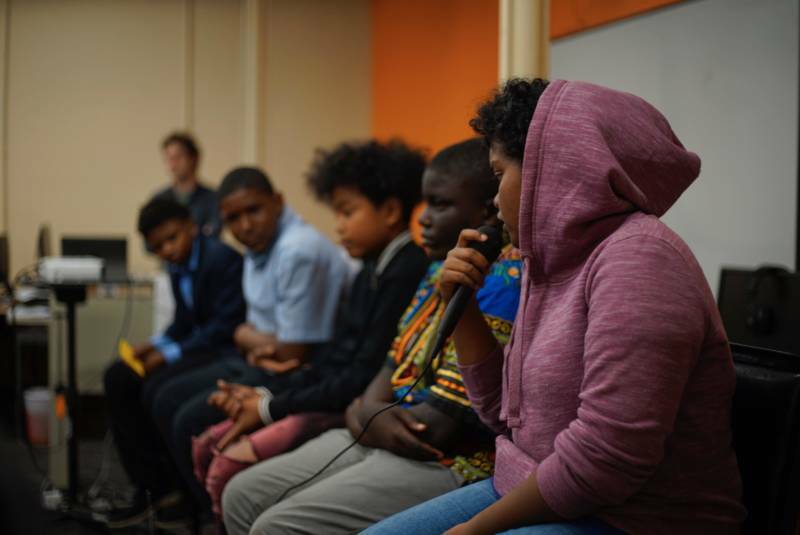 You probably don't need me to tell you that in East Oakland, there aren't many opportunities for young folks to learn how to code. There’s other programs in Oakland, yes, but few in that part of town. But what you might not know is that Glover Center programs are entirely free. Waiting for Hesten’s speech, I walked around the building where a handful of young folks displayed the gadgets and apps they'd created over the summer. 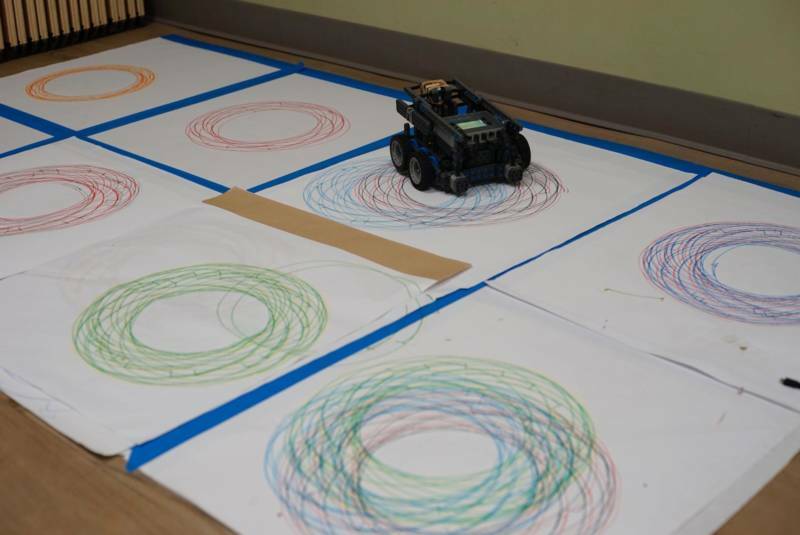 A mobile robot wheeled past my shins in the hallway. 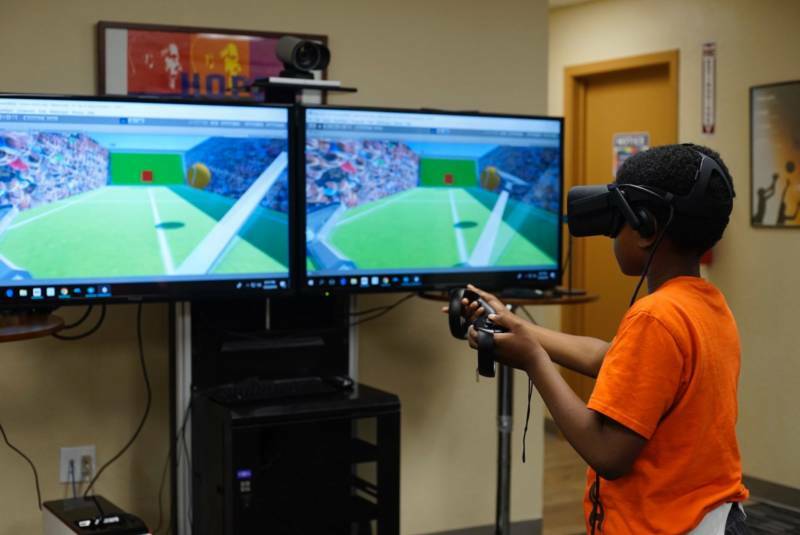 A young person wore 3-D goggles, using his hands to play what looked to be virtual tennis. 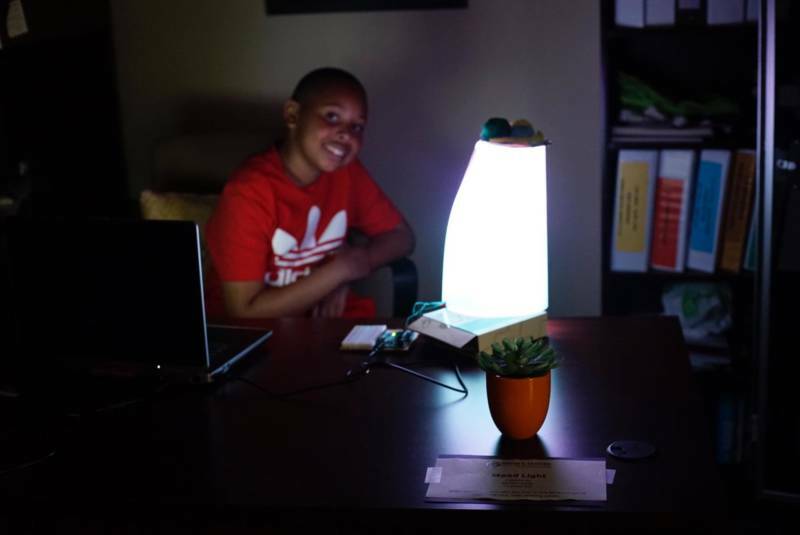 And, in a dimly lit room, I met 13-year-old Michael Slater sitting behind a desk with a “mood light” he'd created using a combination of construction paper, LED lights and wires connecting the light to a computer through an Arduino board, which allowed him to program the lights' hues. Michael’s grandmother struck a more serious tone. "It’s important that he has a broader view of the world," she added, "because at this age we start losing our boys." One of her instructors, Noah Jones, assisted her in making the pattern into a flower shape, but even that didn’t take too long to master. "I found a few viruses in there, and then I fixed it,” Solyana told me, her family sitting nearby her presentation. Then we were ushered into the main room, where Cueva and fellow instructor Tanya Campbell introduced Hesten’s presentation. 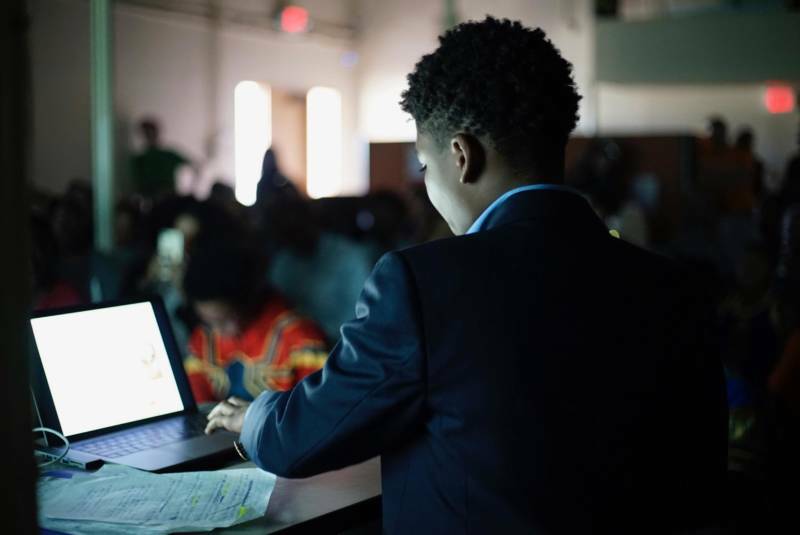 Standing in front of a laptop projector, Hesten told the crowd about a recent issue he had with a teacher who gave him a grade he felt he didn’t deserve. 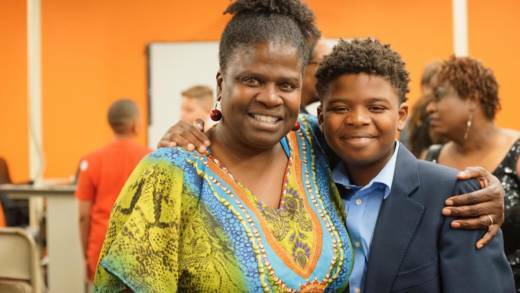 After earning relatively high marks on his classwork, homework and tests, Hesten received a failing grade in the class, and felt there were some racial biases on the teacher’s part. Instead of getting enraged, Hesten got innovative. He spent a few weeks developing an app that would allow students and parents to readily communicate with teachers, in an effort to create transparency around grading. At the end, Hesten was met with a thunderous applause. Two interactions stuck with me in the Q&A that followed. The first occurred when Joe Brooks, of the Brotherhood of Elders Network, stood and asked what else the young people need, if they could have anything they wanted. Solyana, who noted that she'd recently immigrated to the United States, said she’d request nothing more, happy with the program as it is. 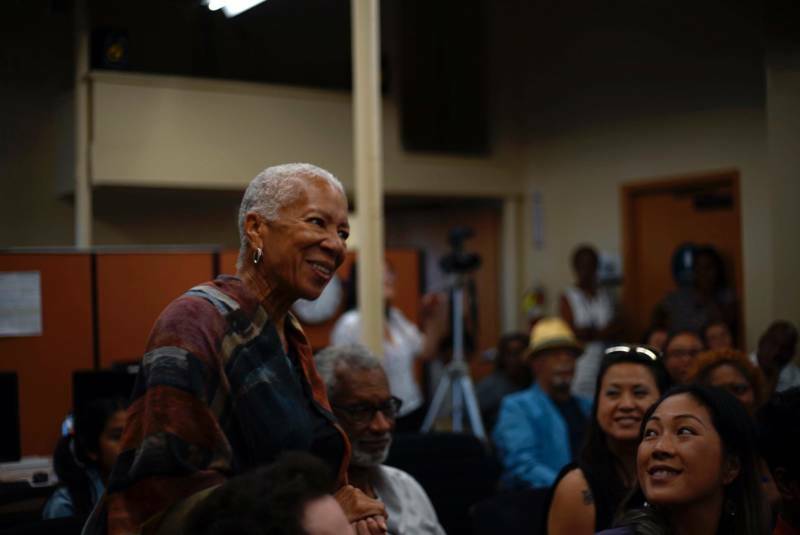 The second came when PolicyLink founder Angela Glover Blackwell stood and said that her brother—the late David E. Glover, for whom the center was named—would be proud of these young people’s efforts, and then thanked them. Those were two subtle but very significant moments. I left wondering if those 12- and 13-year-olds on stage had any idea of who Joe Brooks is, and how he once fought to start a sovereign nation inside of the United States called the Republic of New Africa. I wondered if those teenagers were familiar with Angela Glover Blackwell, and her lifelong work to use public policy to create better outcomes for low-income people and people of color. It’s no one’s fault if they’re not. But what the young people are doing isn’t too far removed, if at all, from the work their elders have done; it's a continuum of the same efforts. And teaching young people to be technology creators instead of consumers is just as revolutionary as fighting to change unjust policies. Think about it: in this over-policed and under-resourced neighborhood in the middle of Oakland, a city where the only thing popping up quicker than luxury apartments are tents for the homeless, and where immigrants and black folks alike are increasingly treated as criminals for simply existing, these young folks were hacking away at a brighter future—even if it’s as simple as creating robots that draw flowers or lights that uplift their spirits. And that’s important in the flatlands of Deep East Oakland.